...and whether you'll get value from it prior to them becoming available as a 75% off DLC. ...and whether you'll get value from it prior to them becoming available … ...and whether you'll get value from it prior to them becoming available as a 75% off DLC.I didn't bother. Exactly. How do you get the Facebook code? Like their FB page. Take note of code, and then unlike if you wish. Ah yes got it. Awesome, cheers bud. Great can't wait to try it! I wouldn't bother paying extra for the few buildings either. The developers are very supportive of the mod community so there will probably be a ton of free content available shortly after release. It looks like a great game, I already pre-ordered it from GMG. is this a row key? Wasn't on my radar but sounds right up my street! Wasn't on my radar but sounds right up my street!Good price. 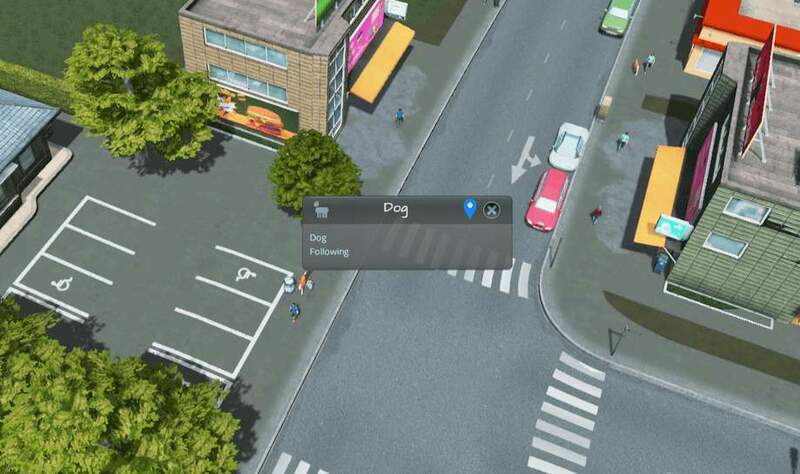 I can't wait to start playing this tonight, it seems to be everything SimCity 2013 should have been. I almost pre-ordered this at £22.99 but held off thinking I'd wait until I saw if it was any good. But for once holding off was the right things to do! Just hope it isn't rubbish now! Getting great reviews everywhere, would be mad not to buy it at this price. 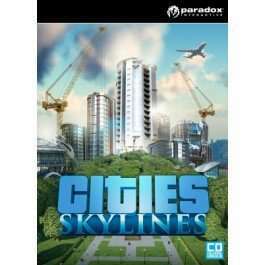 Been waiting for a true successor to Sim City 4 for a decade. Do I want this game? I didn't even know it existed but I think I want it. Ordered and finally received after going through their security verification procedure. First they asked for a mobile number, then my order was temporarily put on hold until I sent them a photo of my driving licence. I just blacked out all the info except for name and address and it was approved within 10 mins or so. A small price to pay for 8 quid off the Steam price. I paid via Paypal, maybe it's not a problem with other payment methods. Key activated on Steam and downloading now. Bought it from Nuuvem deluxe edition for the equivalent of £15 when it was going for that a couple weeks back. Can't make deals for that site on here though because it's foreign, although they are an entirely legit steam code distributor confirmed by the developer of this game, which requires no VPN, can be paid through paypal, and sell the international version. It's a great game though. I'm really enjoying it so far. Bought thanks. Hope it has dogs in. Thanks so much for bringing this game to my attention. How I didn't know about this I will never know and as others have said, looks like the answer to what simcity should have been. Ordered and can't wait to try it out tomorrow. Been watching videos and reading reviews since I saw this post and it looks fantastic. I just hope it lives up to what I'm hoping it to be! Fixed! You have to allow open road access to your power stations or the fuel trucks can't reach them... Man this game is literally 10/10 so far, enjoy! There's a few problems here & there, but the devs seem very enthusiastic. If the initial popularity persists, I think this game is in for a very long & prosperous future! Also, is anyone else impressed at how well it runs? Obviously I'm expecting it to tank late game, but with all the detail settings to play with, it feels like I've got enough breathing room for the game to remain playable. Only managed to play for 30mins or so last night but first impressions are good. Hopefully they will add some proper anti-aliasing options at a later date. Must show how much of a balls up SimCity was. ... and purchased. thanks OP for the find. Main problems: traffic management is still not quite there, and the game lives and dies on it- your services anyway. This can be partly countered if you build an extremely good flowing traffic system, but the AI does still have some problems with lanes. The abandoned buildings are far too common, even when an area is good, supplied, and happy with lots of other thriving buildings close by. I have to demolish a bunch of the damn things every couple of minutes. This is by far the most irritating aspect, there is way too many abandoned building even in a healthy city. They should tweak it so there is only like 1/5th the number abandoned. If they can just reduce the number of those and tweak the traffic (that will be harder) it'll be an all time classic, it's that good a city builder. Modern Day Sim City 3000. Good one - downloading now. Cheers OP. Went for Deluxe edition. The minimum and recommended specs all say 64 bit windows. Is this a game breaker? I only have 32 bit windows. Downloaded about 7pm last night,,, next thing I knew it was 2am. The minimum and recommended specs all say 64 bit windows. Is this a game … The minimum and recommended specs all say 64 bit windows. Is this a game breaker? I only have 32 bit windows.